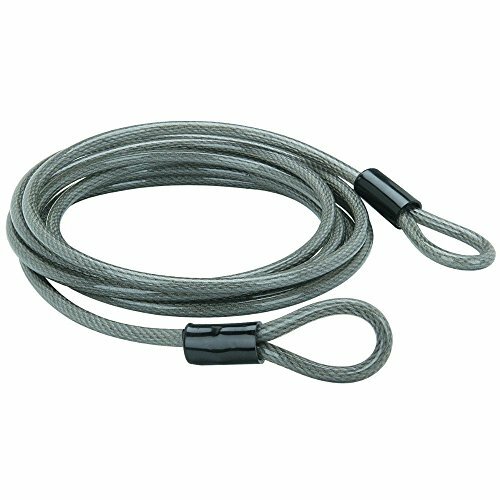 This braided steel security cable is great for securing bikes, motorcycles, grills, picnic tables, trash cans, kayaks and more. The theft deterrent features a braided steel cable to resist cutting and a vinyl sleeve to prevent corrosion and protect your item or vehicle’s finish. Use this security cable with a padlock or combination lock. If you have any questions about this product by Bunker Hill Security, contact us by completing and submitting the form below. If you are looking for a specif part number, please include it with your message.